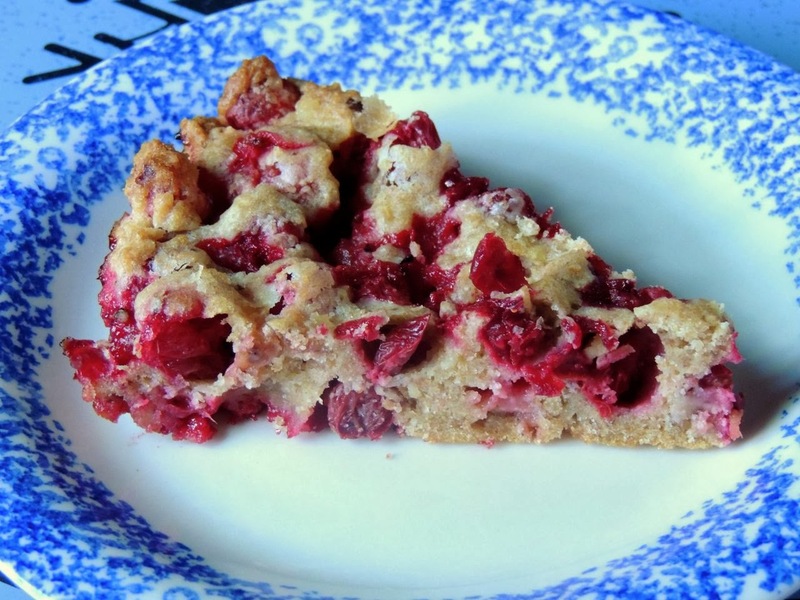 My husband loves cherry pie, but I hate making pie crust. 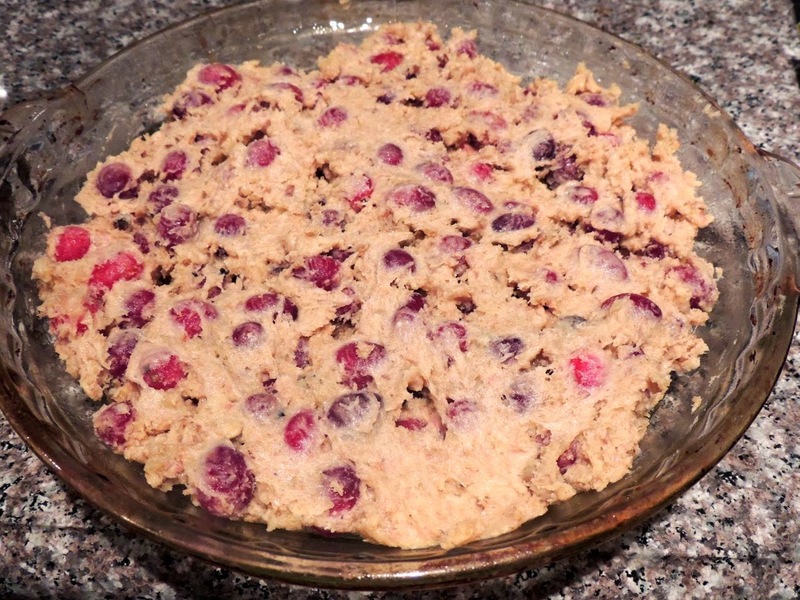 Since it's the holidays, I'm more in the mood for cranberries than cherries, so I thought I'd look up a recipe for a cranberry pie. 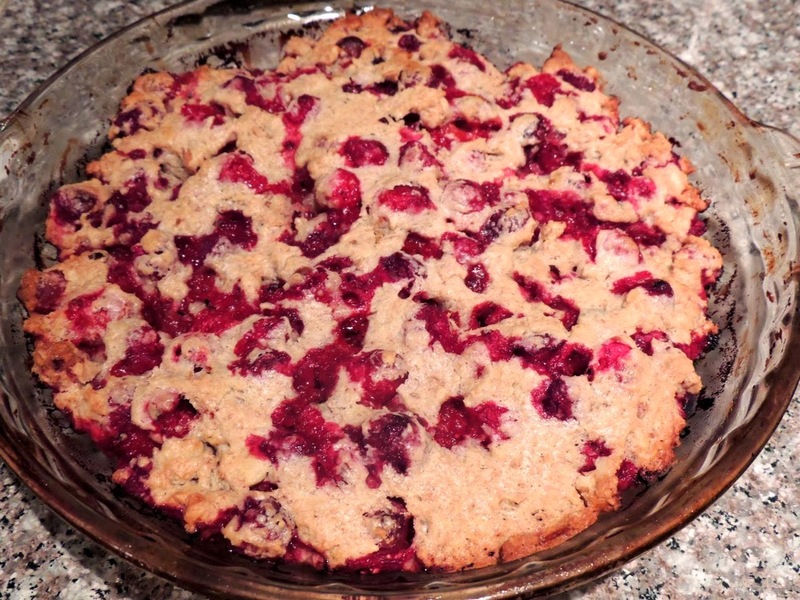 Boy was I pleased when I found several recipes for Crustless Cranberry Pie. I tried one from allrecipes.com last night, and we both loved it! Instead of having a true crust, it's like the crust is throughout the pie. So yummy and easy to make! It tastes great right out of the oven with a scoop of vanilla ice-cream, and leftovers were also delicious for breakfast this morning. It almost tastes more like a gooey muffin than a pie. You could probably make it in muffin cups if you wanted to make individual servings for a party or potluck. I just might have to make this again for Christmas! Combine the flour, Splenda, and salt in a large bowl. Add the cranberries and walnuts. Add the butter, eggs and extract. Spray a pie pan with Pam Butter Flavor Spray. Spread the batter evenly in the pan. Bake for about 30 minutes or until a toothpick inserted in the center comes out clean.